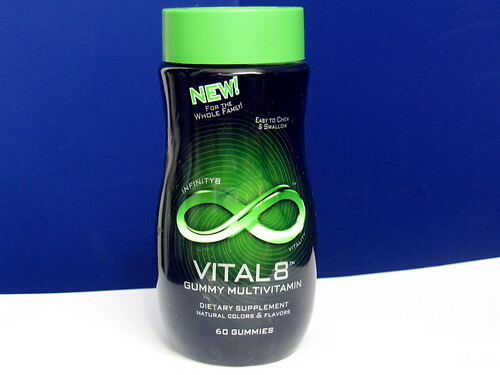 My sister bought me a bottle of specialty multivitamins named “Vital 8,” which come in the form of gummy candies. 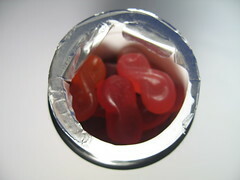 There are little infinity symbols peppered across the bottle, the cap, and even the vita-gummies themselves are shaped like infinities. 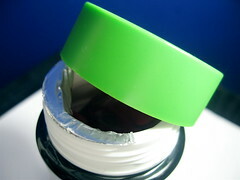 I interpret all of the infinity symbols as “you’re going to live forever if you eat these things!” The bottle is bright, nickelodeon-slime colored green, which makes me feel revitalized, and the bottle suggests that you take one vitamin a day. I hate vitamins, but love gummy snacks, so I’m eating these things like they’re snacks. If one vitamin makes me live forever, shouldn’t eight of them make me live for eight lifetimes?!? We’ll see.